Why Visit New York State? Following the recent release of Baz Luhrmann’s elaborate silver screen adaptation of F. Scott Fitzgerald’s masterpiece, there is no better time to celebrate the author’s iconic story of a thwarted love. We discover the top 10 fabulous places where fans can channel their inner Gatsby. Why: F. Scott Fitzgerald worked New York’s iconic Plaza into his 1925 classic The Great Gatsby and made it the setting for the novel’s most climactic scene. Not only does this stately Beaux Arts-style 19-story building recall the dynamism of the Jazz Age, but it was adored by the author and his flamboyant artist wife Zelda – arguably the original flapper. This Upper East Side landmark was also where Ernest Hemingway advised F. Scott Fitzgerald to give his liver to Princeton and his heart to The Plaza. 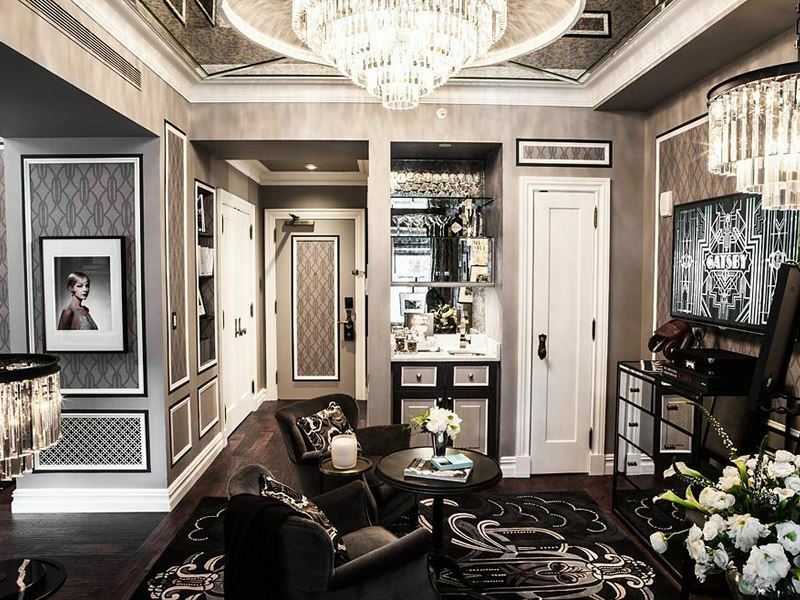 What: To coincide with the release of Baz Luhrmann’s lavish 2013 film adaptation, The Plaza’s new Gatsby-esque Fitzgerald Suite is a visually stunning 700-square-foot Art Deco fantasy space located on the 18th floor. With sumptuous interiors by Oscar-winner Catherine Martin (the movie’s co-producer, costume designer, production designer and Lurhmann’s wife) the vintage-inspired suite is furnished to reflect the style of the Jazz Age with a monochromatic colour palate and plenty of period pieces. Highlights include a built-in bar, coffee-table books depicting New York in the Roaring Twenties, and walls adorned with framed photos of F. Scott and Zelda. Bookshelves are filled with Fitzgerald’s complete works and there is even a Gatsby seal embroidered on the bedding and towels. Info: www.theplazany.com; The Fitzgerald Suite costs £1822 per night and includes Moët Imperial Gatsby-style cocktails in The Rose Club and breakfast in The Palm Court (based on two sharing). Why: Most of The Great Gatsby is set on “that slender riotous island which extends itself due east of New York” which is otherwise known as Long Island. Fitzgerald and his wife Zelda lived in this summer party playground between October 1922 and April 1924; their house at No.6 Gateway Drive in Great Neck was where the author seeded his masterpiece. Fitzgerald’s fictional townships of West Egg and East Egg are based on Kings Point and Sands Point respectively, both of which are located on the north shore of Long Island Sound. What: Cruise the bay that fired Fitzgerald’s imagination on the 90-minute Great Gatsby Boat Tour. Accommodating 30 passengers, the 51-foot Crosby cruiser Charles II sails around Manhasset Bay and Long Island Sound. The host, Eleanor Cox, sports the full flapper get-up as she entertains guests with anecdotes about Fitzgerald and points out the Prohibition-era mansions of Kings Point (West Egg) and the magnificent estates of Sands Point (East Egg). According to Cox, Luhrmann and his wife Catherine Martin took the tour in September 2008 as part of their research for the movie. The tour runs once a month and advanced tickets can be purchased online. Info: www.greatgatsbyboattour.org; admission costs £16 for adults; £8.50 for children. 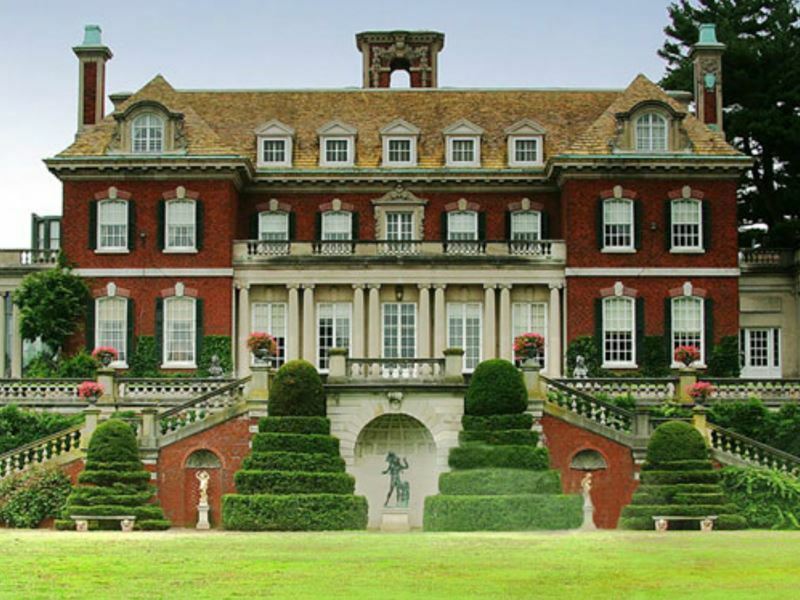 Why: Listed on the National Register of Historic Places, the 44-room Charles II–style Old Westbury Gardens on the North Shore of Long Island is the former family home of steel magnate John S. Phipps and his wife Margarita. Completed in 1906 by the English artist and designer George A. Crawley, this outstanding redbrick Gold Coast mansion and its pristinely manicured grounds were the inspiration for Daisy and Tom Buchanan’s house in Lurhmann’s 2013 remake. What: As one of best-preserved Long Island estates, this Gilded Age masterpiece boasts 200 acres of impeccable formal gardens, landscaped grounds, fountains, woodlands, ponds and lakes – all of which were opened to the public in 1959. The interiors are equally impressive; from jaw-dropping grand halls furnished with fine English antiques to grand rooms adorned with hand-painted wallpapers. The art collection showcases the Phipps’ elaborate taste with originals by Sir Joshua Reynolds, Thomas Gainsborough and John Singer Sargent. The estate, which is administered by a private trust, runs in-depth guided tours and opens daily (except Tuesdays) from late April through October and on weekends in November. The on-site restaurant, Cafe in the Woods, serves soups, sandwiches, salads and beverages in exquisite shaded surroundings. Info: www.oldwestburygardens.org; admission costs £6.50 adults; £3.25 children. Why: The two-story clapboard and brick house leased by F. Scott Fitzgerald and Zelda between 1931 and 1932 is located at 919 Felder Avenue in the heart of Old Cloverdale, a tree-lined neighbourhood in Montgomery, Alabama. Only a month after moving in, Fitzgerald headed to Hollywood to accept a screenwriting job, leaving Zelda behind with their ten-year-old daughter Scottie. This is the only remaining residence of the famous couple; saved by demolition in 1986 by a non-profit organisation it opened as The Fitzgerald Museum in 1989. What: Dedicated to celebrating the couples’ life and work, the museum houses a large collection of Zelda’s paintings as well as numerous first-editions and manuscripts by her husband. There are also two marble-topped tables from Zelda’s childhood home in Montgomery, her long-stemmed cigarette holder and other flapper-style memorabilia. It was at this house where Fitzgerald completed Tender Is the Night (published in 1933) and also where Zelda wrote much of her only novel Save Me the Waltz – a semi-autobiographical account of her marriage to F. Scott. The museum takes its job of paying homage to the duo’s romantic legacy very seriously and hosts an annual fundraising Fitzgerald-themed gala. Info: www.fitzgeraldmuseum.net; admission costs £3 for adults; free for children under five. The museum is open 10am to 2pm Wednesday to Friday and 1pm to 5pm on the weekend. Why: For a glimpse into one of the places that inspired Fitzgerald’s decadent lifestyle, the 12-story Willard Hotel boasts all the trimmings and trappings of a bygone age. 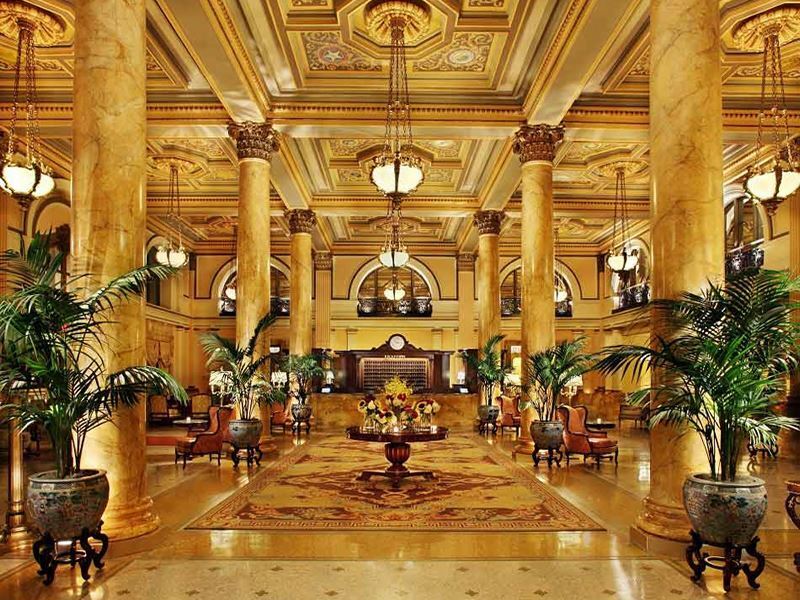 Fitzgerald and Zelda stayed at this lavish 335-room Beaux-Arts landmark in Washington DC shortly after their marriage in 1920; in their jointly-written 1934 essay ‘Show Mr. and Mrs. F. to number —‘ the couple commented that “electric fans blew the smell of peaches and hot biscuit and the cindery aroma of travelling salesmen through the New Willard halls in Washington”. What: This grand dame boasts an illustrious guest list; from actors, authors, foreign diplomats and presidents (the hotel is also affectionately known as ‘the residence of presidents’). Most alluring is the elegant long hallway known as Peacock Alley; named for the women of the 1900s who would parade around in the latest fashions, this famous corridor is carpeted in red and lined with gilded mirrors. Taking afternoon tea at Peacock Alley is a long-standing tradition; a harpist plays soft music whilst guests tuck into an assortment of finger sandwiches, scones and pastries costing £25 per person. Tea is served between Friday and Sunday from 1pm to 4pm. 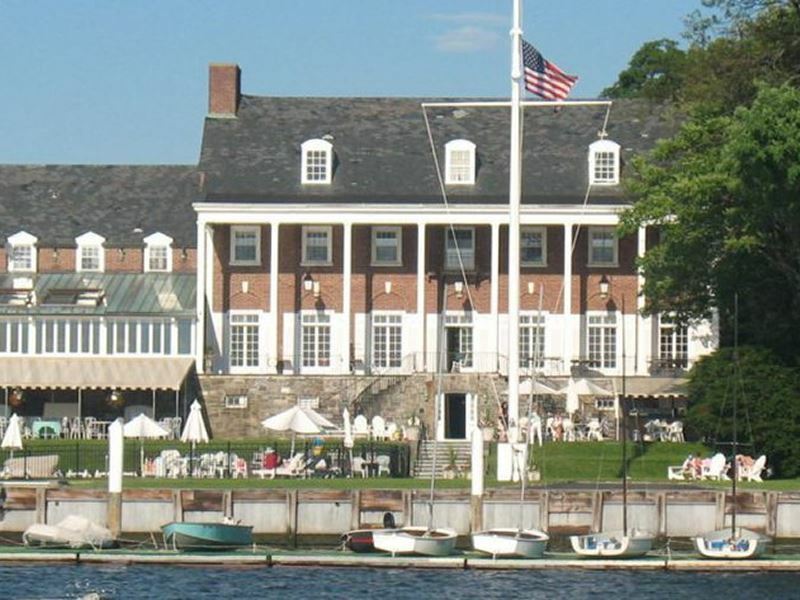 Why: There is much debate about which property was the real inspiration for Jay Gatsby’s mansion in the novel, but Daisy Buchanan’s house in fictional East Egg (the quaint town of Sands Point in real-life) was based on Land’s End, a 25-room white colonial manor where F. Scott Fitzgerald may have attended a party. Sadly the house was demolished by developers in 2011. What: Overlooking Long Island Sound, the sprawling 216-acre Sands Point Preserve is renowned for its three spectacular Gatsby-style mansions. Hempstead House, also known as the Gould-Guggenheim Estate, was built by railroad heir Howard Gould in 1912. The property was later sold to Daniel and Florence Guggenheim along with the estate’s fortress-like Castle Gould, originally built as a replica of Ireland’s Kilkenny Castle. The youngest of the three mansions, Falaise, was built for Harry F. Guggenheim and his wife Caroline Morton in 1923; its design was based on a 13th-century French Norman manor house and it is noted for its Renaissance artwork and antique furnishings. The remains of this fabled estate can be viewed by the public; visit the website for opening times. Also featuring nature trails that meander through forests, meadows and gardens, the preserve is open daily from 9am to 4.30pm. Admission costs £3 per car and £1.30 per person on foot. Why: Located on Long Island’s North Shore, also known as the Gold Coast, the upscale town of Great Neck was the inspiration for West Egg in Fitzgerald’s iconic love story. 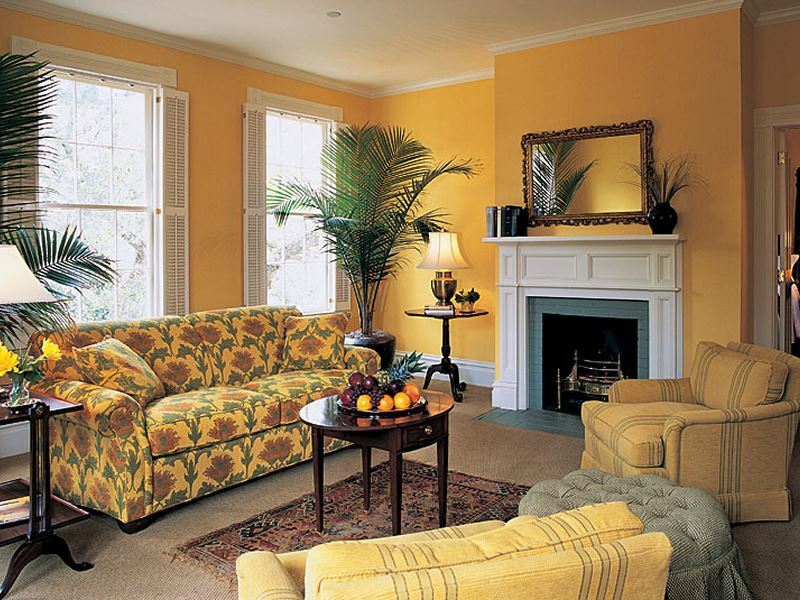 Opened in 1995, Inn at Great Neck is a unique 1920’s-themed retreat that harks back to the Jazz Age. The setting is fabulous; situated on a tree-lined avenue surrounded by boutiques, antique shops and first-class restaurants. What: This Great Neck gem offers plenty of dramatic Art Deco accents throughout; from artworks in gilded frames that depict the decadent soirees of Long Island’s Roaring Twenties era to period murals illustrating scenes from The Great Gatsby. The lobby sets the tone with Axminster carpets, alabaster chandeliers and more hand-painted murals whilst the 85 guestrooms and suites have been designed to combine classic furnishings with contemporary amenities. For fine dining, the intimate Giraffe Room Lounge and Restaurant serves international cuisine in the company of carved, sculptured and stuffed giraffes from around the world. 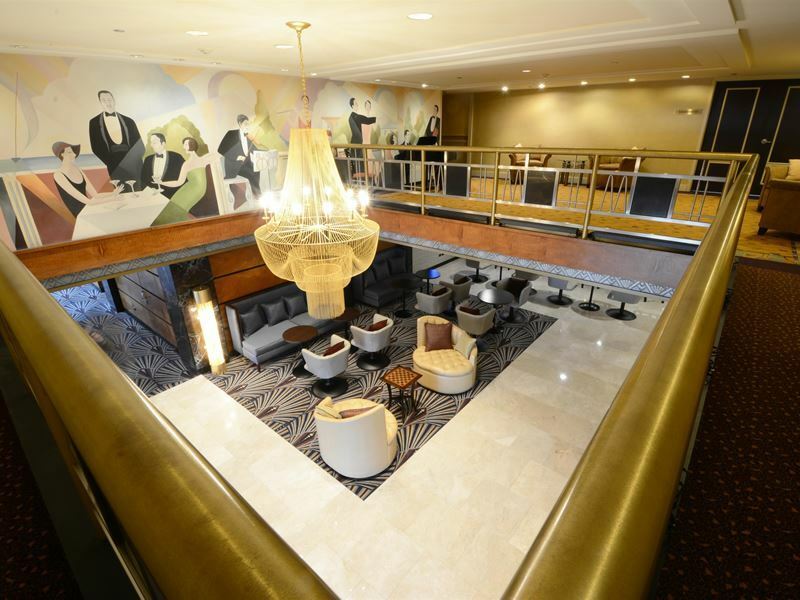 This chic four-story hotel offers a Gatsby Getaway package for guests arriving on Sundays or Thursdays, all of whom will receive 25 percent off the inn’s best available rate when showing their ticket stub from the movie. This offer expires on 29 August 2013. Why: Located in Aiken, South Carolina, The Willcox Hotel (once nicknamed ‘the Newport of the South’) has a strong Gatsby connection. It is believed that Fitzgerald modelled the novel’s antagonist, Tom Buchanan, on Aiken-born aristocrat and world class polo player Tommy Hitchcock, whose mother helped Frederick Willcox to finance the building of this stately hotel in the early 1900s. According to Nelson W. Aldrich Junior, author of ‘Tommy Hitchcock: An American Hero’, Fitzgerald idolised Hitchcock and inscribed a special personal note to him inside a first-edition copy of The Great Gatsby. What: To celebrate the 2013 movie release, The Willcox has gone full throttle in bringing back the Twenties vibe with regular jazz soirees, flapper dance evenings and a new Gatsby-inspired cocktail menu (the Daisy Fay is made with champagne and blackberry and orange syrup). Once popular with the movers and shakers of the Gilded Age, this white-pillared hotel was scheduled for demolition in 1984; fortunately it was rescued by The Garrett Hotel Group in 2000 and restored to its former grandeur at a cost of $13 million. The large ballroom, famous for its high-society parties, has been transformed into an expansive front lobby and each of the 12 guestrooms and 10 suites features mahogany four-poster beds, period antiques and equestrian prints that pay homage to Aiken’s polo heritage. Info: www.thewillcox.com; rooms from £120. 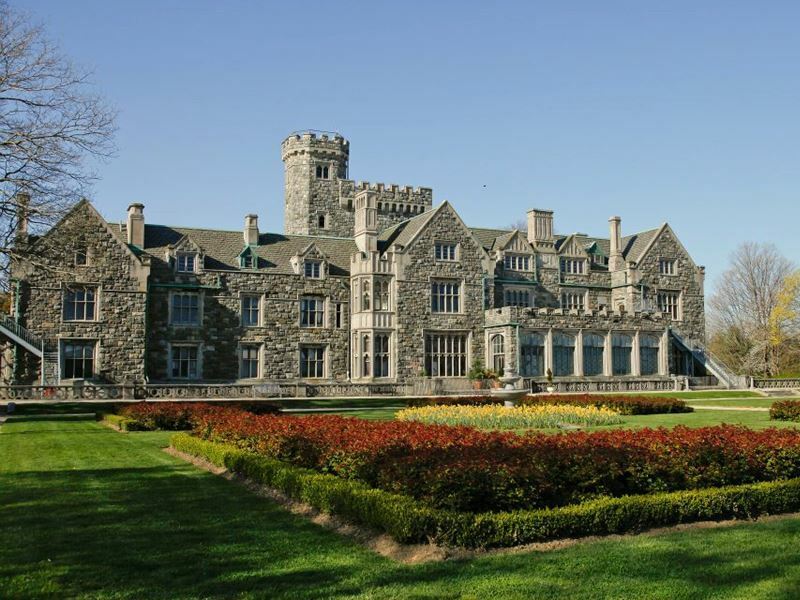 Why: Surrounded by 17th-century colonial mansions in the coastal city of Newport – once a summer retreat for the rich and famous of the Gilded Age – Vanderbilt Hall was built in 1909 by Alfred Gwynne Vanderbilt, a horse-racing impresario and heir to one of the country’s biggest fortunes. This quintessential Newport red-brick mansion offers a heady dose of Gatsby glam; it is just a short walk from Rosecliff Manor on Bellevue Avenue which was used to portray Gatsby’s mansion in the 1974 movie with Robert Redford and Mia Farrow. What: Acquired by the Grace Hotels group in 2010, this striking mansion in Newport’s Historic Hill neighbourhood is a luxurious hotel now known as The Vanderbilt Grace. 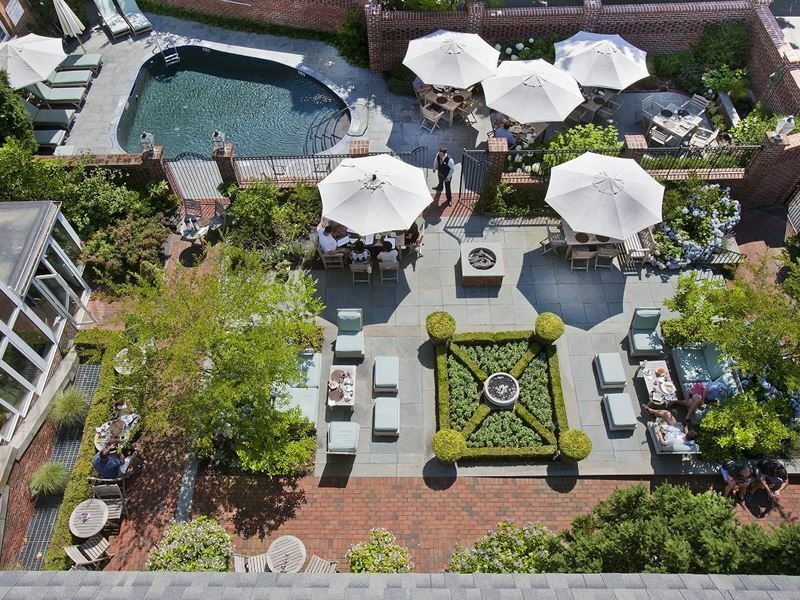 Exuding a bygone-day charm, the property has 33 sumptuous guestrooms (including 29 suites), two swimming pools, a blissful spa and two in-house restaurants including Muse by New England chef Jonathan Cartwright. Highlights include the 1920s art collection that includes magazine cover illustrations from The New Yorker and Vogue and the hotel’s rooftop deck that overlooks Newport Harbour. To celebrate its Gatsby association, the hotel is offering a two-night Great Gatsby Package that includes a champagne breakfast, sunset sailing cruise, choice of five historic tours and five-course vintage-style dinner for two. The offer expires on 30 September 2013 and costs £720 per couple. Info: www.vanderbiltgrace.com; rooms from £342. 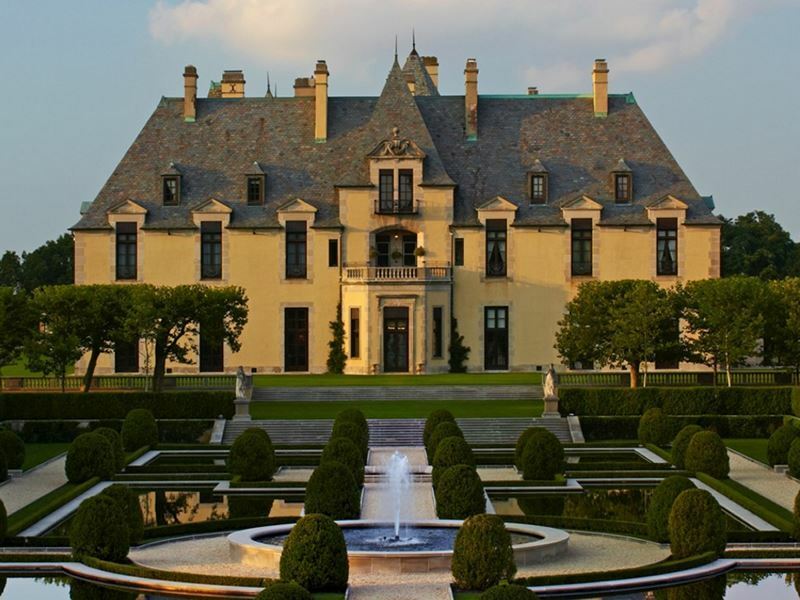 Why: Believed to be one of the inspirations for Fitzgerald’s depiction of Jay Gatsby’s mansion, Oheka Castle dominates the Gold Coast on Long Island’s north shore. Completed in 1919 for German-born financier and philanthropist Otto Hermann Kahn, this striking 127-room French château-style property was the much-celebrated setting for lavish Gatsby-style parties attended by royalty, heads of state, Hollywood stars and socialites during the Gilded Age. What: Restored to its original grandeur by its current owners at a staggering cost of $30 million, the turreted building is now a premier society wedding venue and a 32-room boutique hotel. Each guestroom is individually designed and adorned with elaborate moldings, decorative period pieces and romantic paintings. Whilst the two splendidly furnished Gatsby Suites boast sublime décor and massive bathrooms, the Olmsted Suite (named for the Olmsted brothers, sons of Central Park’s architect Frederick Law Olmstead) is by far the most refined accommodation with two glorious balconies that overlook the castle’s reflecting pools and stately formal gardens. For those who can’t afford to bed down for the night in this classic East Egg getaway, the estate arranges guided tours costing £16 for adults and £3 for children. Better still, this sprawling 443-acre estate (the second-largest private residence in the US after the Vanderbilt’s Biltmore House in North Carolina ) holds annual Gatsby-style parties in June where dressing up in Twenties costumes is de rigueur. Info: www.oheka.com; Gatsby Suites from £387 per night; Olmsted Suite from £713 per night.